It's been said that the best way to not repeat history is to know history.The survivor series, "Bearing Witness," at The William Breman Jewish Heritage & Holocaust Museum is in alignment with exactly that. Every month, a survivor or a family member of a survivor recounts what happened to the Jewish community, specifically them, their family and friends, during the Holocaust of World War II. July's speaker (Sunday, July 10, 2011 at 2:00 p.m.) is Morton Waitzman, a liberator from the United States. 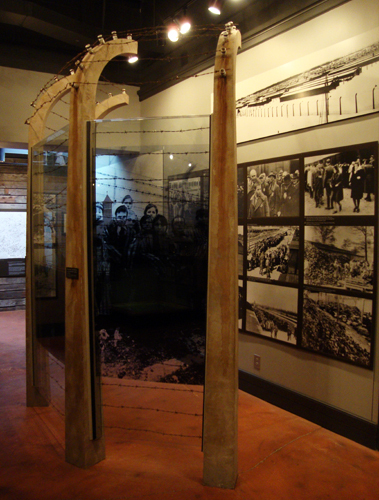 Immediately following the monthly speaker program there is a docent led tour of the Holocaust Museum. ATLANTApix and ATLANTAvidz of the tourATLANTA blog features a daily photo or video relative to Atlanta. Come back tomorrow for a new one!